Sony last week announced a new addition to its single-lens translucent (SLT) lineup of Alpha cameras, the a68. The camera features Sony’s 4D Focus system and is compatible with A-mount lenses. The a68 will go on sale in Europe starting March 2016 for roughly EUR 600 (approximately Rs. 42,800) for just the body and EUR 700 (approximately Rs. 50,000) with an 18-55mm, F3.5-5.6 SAM II kit lens. 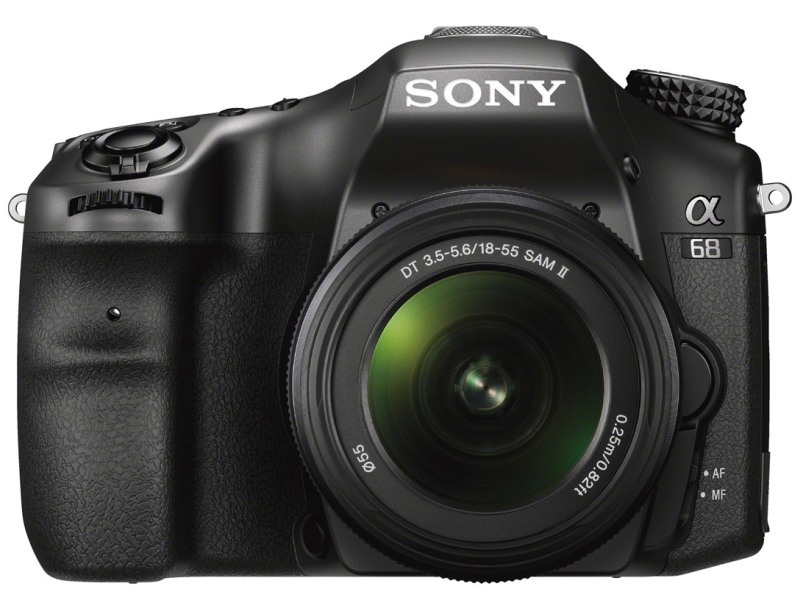 The Sony a68 is part of Sony’s SLT lineup of cameras which look like DSLRs but don’t function exactly like them. This is because the mirror in the a68 is fixed, unlike a traditional DSLR, and it also features phase-detection autofocus (AF) module that can do continuous AF, even when shooting. This works by sending the image through the mirror’s translucent surface to the APS-C sensor as well as the dedicated autofocus system in the camera. Sony’s new entrant borrows some features of the a77 II like the 79-point autofocus system and the 24-megapixel Exmor sensor. It features an ISO range of 100-25,600 and Bionz X image processor. The camera also supports full-HD video recording up to 50Mbps in XAVC S format. The a68 features a 2.7-inch TFT LCD display with a resolution of 460k dots and can be tilted. You also get an electronic viewfinder, which is an Oled panel with a resolution of 1.4 million dots and offers 100 percent frame coverage. Thanks to the translucent mirror, the Sony a86 is capable of 8FPS burst mode with continuous autofocus. The camera is also compatible with all 34 A-mount lenses that Sony offers. Other features include a rear and front control wheel for quick adjustments, 10 customisable buttons, SteadyShot Inside for image stabilisation, a built-in flash, and a multi-interface shoe for use with microphones and other accessories.